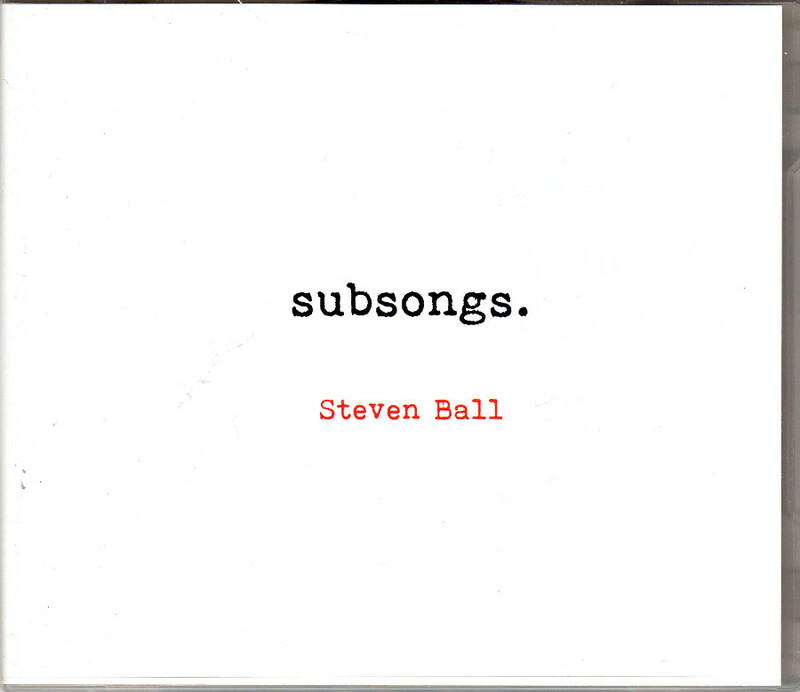 Steven Ball continues his mission to reinvent the song form on his own terms, informed by much musical history and sparked by ideas that may have filtered through his knowledge of modern art and avant-garde film-making. When I say “reinvent”, he might also have it mind to “deconstruct” or even to “subvert” popular song. The most prominent aspect of this plan is his approach to singing, which is to create a wispy washed-out breathy ambience, removing about 99% of any human sensibility, and appearing massively detached from emotional engagement of any kind. Right away I expect many readers would be turned away by such a package, but you really need to hear Subsongs (LINEAR OBSESSIONAL RECORDINGS LOR095) before you come to your own conclusions, if any. Admittedly we too were slow to hear the sense behind Ball’s scheme, but Life Of Barrymore somehow made a connection, drilling quite deeply into a very serious topic in a conceptual piece where the emotional “coldness” of the song delivery made perfect sense, and indeed was integral part of whole. Same observations on today’s spin.